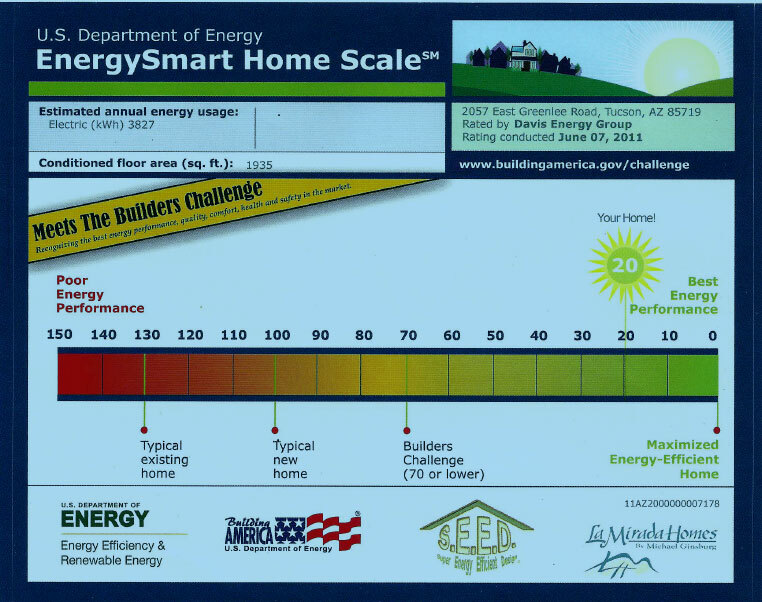 I am honored and excited to be receiving a coveted energy efficiency award from the National Association of Home Builders Research Council (NAHBRC), the Energy Value Home Award (EVHA) during the International Builder Show next week in Orlando, Florida. The NAHBRC, for the last 17 years, has been honoring and awarding those individuals (or company) in the home building industry who have, of their own volition and desire gone above and beyond the norm with regard to advancing energy efficiency in new home construction. This award although being received by me, is most assuredly about The S.E.E.D. Home and the breakthrough accomplishments it has achieved since being ‘planted’ at its building site here in the desert southwest of Tucson, AZ. Since being ‘planted’ last April, 2011 when final inspection was obtained from the City of Tucson Development Services, real-time data (through imbedded sensors) has been flowing to Davis Energy Group-lead team member of ARBI (Alliance for Residential Building Innovation) one of the fifteen Team Members affiliated with Department of Energy (DOE) Building Technology Program Build America Team members. The ongoing data accumulation has revealed that the S.E.E.D. Home’s design and construction principles have proved successful in its application.